What's So Special about Car Keys? 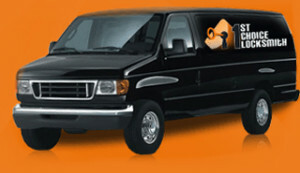 FC Locksmith > Blog > Articles > Auto Locksmith > What’s So Special about Car Keys? What’s So Special about Car Keys? Up until a few decades back we all talked about car keys. Now we are talking about transponder, VAT, and laser keys. So many fancy names about car keys! What’s the purpose? Back in the 1990’s the auto industry was urged by the car insurance industry to take some action in order to reduce car theft. And that’s when transponder keys were born. 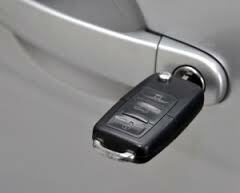 In spite of their differences, what new age car keys do today is secure the vehicle. And indeed car theft has decreased over the years. So let’s see how they work, what their differences are, and what happens when they get damaged. Regular car keys are regular keys. They have grooves and are either double or single sided to match the tumbler of the car lock. They just open and close the door and start the ignition offering no extra security. In the case of transponder keys, we have a completely different story. Although they resemble regular keys, transponders have a larger plastic cover in which they hide their microchip. This acts as a tiny computer. It sends a signal to a device placed close to the ignition. As soon as you use the key to open the door, the car will start only when it recognizes the key’s encrypted code. Such keys actually use the rolling code technology. The key transmits and the car computer receives and responds to allow the car to operate. If the car’s engine control unit doesn’t recognize the key, the car won’t start. The result? Decreased thefts. Even if someone (a car thief for example) manages to open the door of your vehicle, he won’t be able to hot wire and start the car. Even if someone copies your key, he won’t be able to start the car because the control unit won’t get the right signal. And this brings us to the importance of programming the key right. In order for transponders to work properly, the car locksmith must have the right equipment and knowledge of the particular brand. And in turn this brings us to another conclusion. If your transponder gets damaged, it most likely won’t open the door let alone start the car. Since these keys contain a chip, you must once more call an auto locksmith to replace and program it or fix and reprogram it. There are similar difficulties when it comes to other types of modern car keys. Since they also serve to start the engine, they are considered modern ignition keys. And ignition key replacement is complicated since any computerized or specially grooved key requires special equipment. What are the other key types? · The laser key is also known as a sidewinder. It is distinguishable due to its central groove and rectangular blade. Such keys often have an identical groove at the back side and so whichever way you insert the key, it will work. 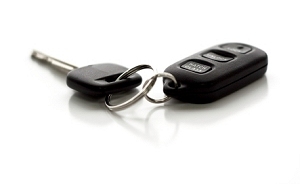 · The VAT (vehicle anti-theft) key introduced by General Motors back in the 1990’s is a sort of transponder key operated with a resistor. If the key transmits the wrong electrical resistance, the car won’t start.